One of my friends died last week. He was a truly unique individual. The Crematorium had to rig up speakers outside for the mourners who could not fit inside the building. It seemed everyone in the town new him and had turned out to celebrate his life. They all said the same thing – he would do anyone a favour, was always positive and was constantly giving. Nothing flashy just lifts for friends, a slab of millionaire’s shortbread or tray of cakes miraculously appearing as he dropped in to say hello, food for the homeless, chat (he could talk), musical tips, DVD box sets to borrow. Mostly what he gave people was his time and attention – all day, every day that he lived. He seemed to me to embody something I learned when I visited the South Pacific almost twenty years ago. A real lesson about giving. 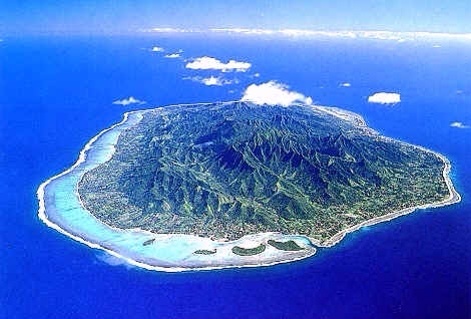 I was in Rarotonga in the Cook Islands. One of the islanders was describing his wedding with great pride. “It was the best wedding ever. We gave so much away!”. Because in some island nations being rich is about how much you give to others, not what you keep for yourself. At the heart of what I think about my leadership is a genuine sense that to be effective, I have to give away as much authority as I can, whilst retaining the accountability I hold. As an NHS CEO, that meant remaining personally accountable for the safety of every patient and the value of every penny, whilst giving staff authority to act and creating the right system of values so that we could be successful. This is not risk free. It takes time, trust, courage, resilience, a focus on purpose and a value based approach that engages all staff. [Yet another plug for Michael West’s work here]. The results are always surprising and unexpected – people tend to go further than you imagine and the impact can be spectacular. 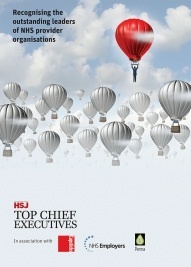 Alongside the the list were pieces each day from some of our best Chief Executives. Reading the HSJ pieces by people like Dame Julie Moore, you can see that giving works. “Trust your staff”. Compare this with people who retain tight hold of any power and authority they have. Leaders who hold positional power will lose it if their position changes. If they tell people what to do, that will be the best they ever get and few will ever achieve even that. Some people fear that giving power and authority away denudes their personal store. My experience is the opposite. Some things are infinite or able to be self replicating – Dean Royles wrote powerfully about this last week. Compassion, he argued, is like love – you can’t give away every ounce of love you hold as it is inexhaustible.I think the same is also partly true for power and authority. Your influence and impact can grow the more you give away, enhancing your power and authority. As I write this, I am reflecting that the one word that I would use to describe my friend now was that he was “good” in its truest sense. I will be championing a style of leadership that is also “good”. One that is based on giving and is essential in a complex system like the NHS – one of delegated leadership that unlocks the potential of NHS staff by giving them authority to act, safe in the knowledge of where the accountability ultimately lies.